So your big day’s coming up and you’ve got everything planned down to a T: wedding venue, décor, flowers, invitations, hair, and make-up. You've even planned your bachelorette party and looked up the legal deets of getting married in Singapore. The only thing that's missing? The Dress. 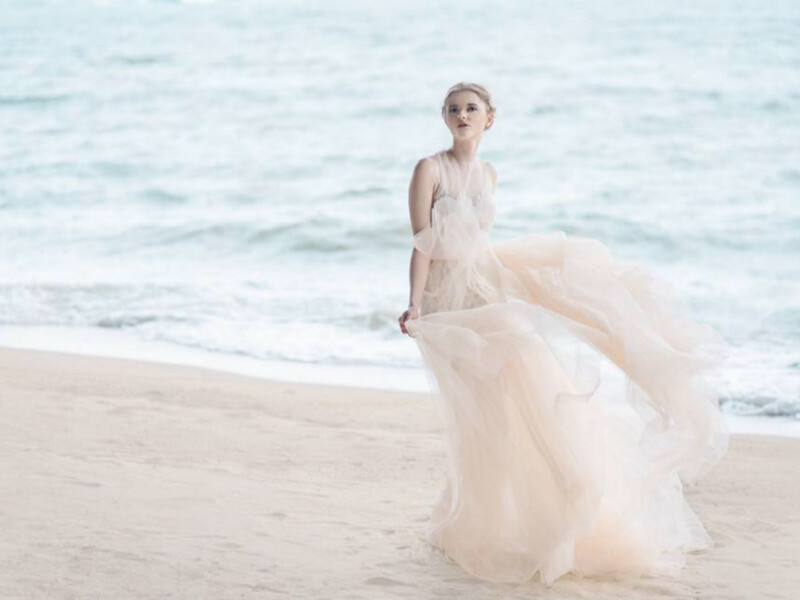 Whether you opting for off-the-rack or going all-out with a custom-made creation, we’ve handpicked a selection of bridal boutiques in Singapore. 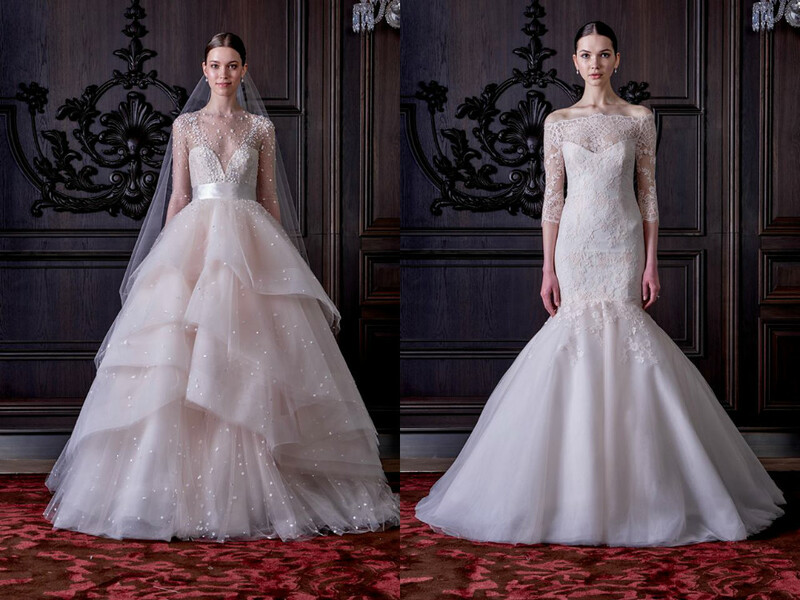 From Zuhair Murad's glamorous gowns to Elie Saab's feminine yet sophisticated styles and Berta Bridal's red carpet-worthy creations, you'll find jaw-dropping dresses galore from at this elegant, multi-label bridal boutique. Every bride-to-be that steps in for a fitting is showered with attention and helpful styling advice about what flatters and enhances their unique shape, so that they'll look and feel sublime on their big day. Aside from haute wedding dresses, they also carry delicate, handmade hair accessories from Jennifer Behr and enchanting veils from Toni Federici and Homa Pirouz. Belle & Tulle, #03-12 Palais Renaissance, 390 Orchard Road, Singapore 238871, p. 6737 5208. Open daily 11am-8pm. "You don't alter a Vera to fit you, you alter yourself to fit a Vera". This infamous line from Bride Wars has since become a mantra for glam brides everywhere. Prominent bridal designer Vera Wang has earned her A-list rep for good reason – her collections are frothy concoctions of masterful tailoring for red carpet like wedding gowns. Vera Wang, 10 Bay Level, L1-29A, The Shoppes at Marina Bay Sands, Bayfront Ave, Singapore 018973, p. 6688 7580. Grace, elegance and beauty – these are the embodiments of the designer gowns found at Trinity Gallery. Following its success in Hong Kong, the multi-label luxury boutique showcases classic designers such as Monique Lhuillier (pictured above), Oscar de La Renta, Jenny Packham, and Reem Acra. Trinity Gallery,#02-14, 328 North Bridge Road, Raffles Hotel Arcade, Singapore 188719, p. 6336 5052. Open Mon-Fri 11am-8pm, Sat 11am-6pm. By appointment only. From classic to avant garde and simple to elegant, The Prelude Bridal carries an array of gowns to suit varying styles. For more adventurous brides-to-be, expect a curated range of hard-to-find labels including edgy British designer David Fielden, New York-based Junko Yoshioka and Love, Yu by home-grown talent Ee Lyn-Tang. The Prelude Bridal, #10-01 Tan Boon Liat Building, 315 Outram Road, Singapore 169074, e. info@theprelude.com.sg. Open Tue-Fri 11am-730pm, Sat 11am-6pm. By appointment only. Fashion-forward brides have been known to flock to The Proposal. The store is chock-full of dreamy designer gowns from labels like Paolo Sebastian and St. Patrick by Pronovias. The label also stocks chic traditional Chinese tea dresses exquisitely crafted by renowned Shanghai designers with high quality fabric. The Proposal, #01-67/68 Capitol Piazza, 15 Stamford Road, Singapore 178906, p. 6835 7077. Open daily 11am-9pm. 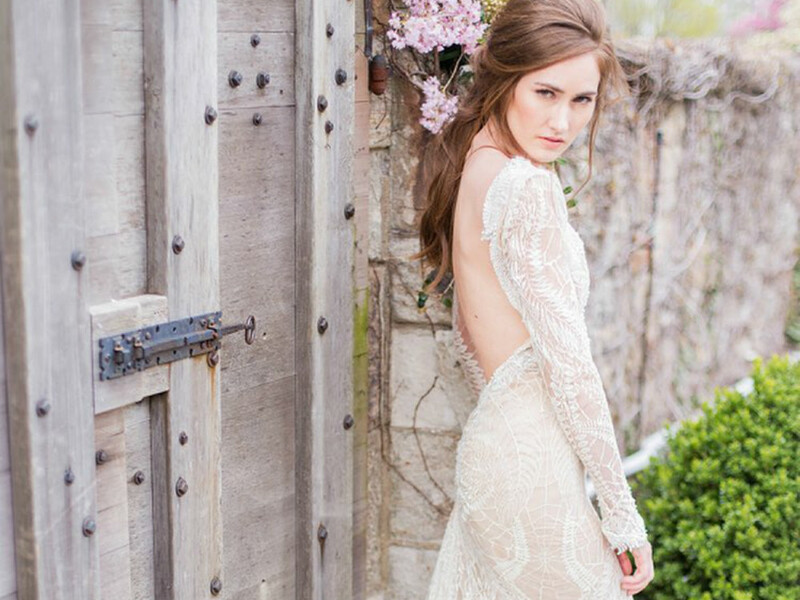 Sophisticated brides, head this way. Truly Enamoured is the boutique to be for the discerning; the selection here is nothing but artfully curated with international designer and couture labels, including Elie Saab, Oscar De La Renta, Inbal Dror, and Alexandra Grecco. Bonus: The boutique offers bespoke wedding stationery design by its sister brand, Enamoured Paper. 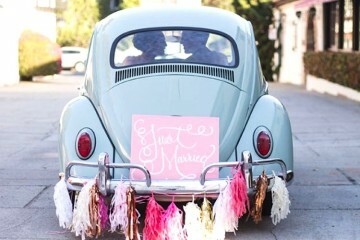 And if its exquisite gowns are anything to go by, you know your wedding invitations will be in good hands. Truly Enamoured, 21 Club Street, #02-05, Singapore 069410, p. 9298 8570. If you're on a budget or you'd rather use a hefty bridal gown fund on a luxe honeymoon instead, why not rent a gown? Rest assured, renting does not mean compromising your fantasy. Alterations are possible where there is allowance to tuck straps, nip waists or lengthen hems. It’ll be our little secret and The Dress will look like it was made just for you. For a more local flavour, homegrown boutique Di Gio Bridal also offers wedding dresses for rent. Pick from wide selections of frou frou frocks, vintage-inspired sheaths or romantic lace gowns. Kill two birds (or more) here – grooms' suits are also available for rental. 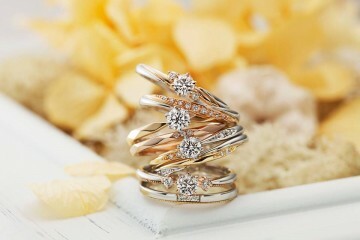 Di Gio Bridal, 69 Tanjong Pagar Road, Singapore 088490, p. 6225 1612. Open Mon-Sat 12-9pm, Sun 11am-8pm. Brides who want the runway look without the designer price tag can turn to Blessed Brides, which sources internationally from Barcelona designers like Pronovias and Rosa Clara. Rent the gowns as part of a wedding package – it'll save you a lot of money (and worry). Blessed Brides,#05-10 Singapore Shopping Centre, 190 Clemenceau Avenue, Singapore 239924, p. 6735-6334, e. enquiry@blessed-brides.com. Open Mon and Wed 11am-8pm, Thu and Fri 11am-630pm, Sat and Sun 11am-730pm. Not everyone is a fan of splashing out on wedding outfits – don't worry, we got you. 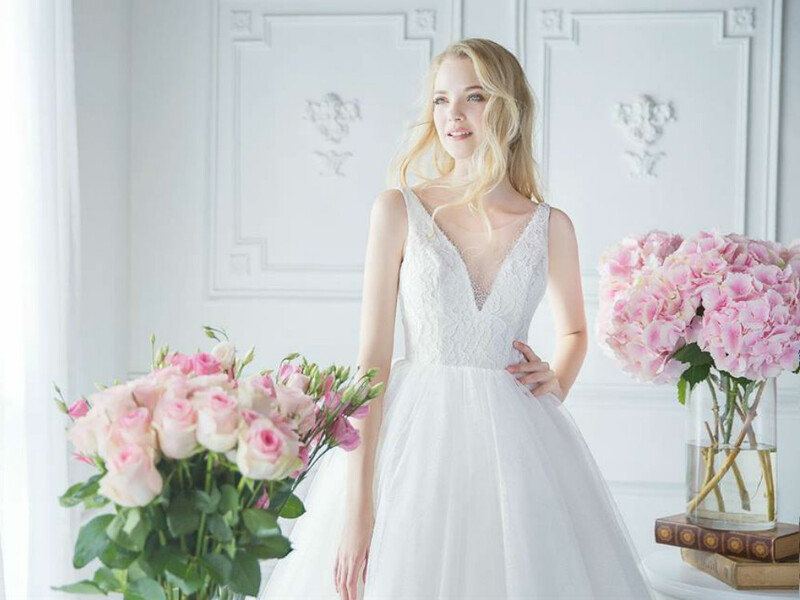 For a wallet-friendly option, Dream Wedding's gown rental starts from $300 while a maximum rental for three gowns will cost you $1680. How's that for a bridal bargain? 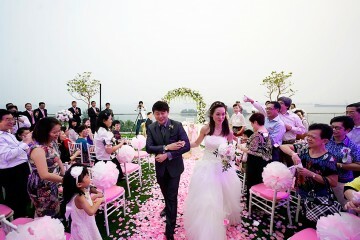 #01-12 Singapore 737854, p. 6604 8013, e. enquiry@dreamwedding.com.sg. RICO-A-MONA carries an eclectic array of European designers - big and bold or slinky and sensual, the boutique has gowns for all brides. 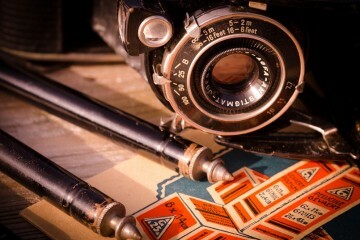 Best of all, they're pocket-friendly for rental, especially if you sign up for a photo shoot package. RICO-A-MONA, 33 Tanjong Pagar Road, Singapore 088456, p. 6221 3383. Open Mon-Sat 12-9pm, Sun 12-8pm. Silhouette the Atelier is a veritable institution, marrying wearable couture with impeccable workmanship. Held in high esteem for its intricate detailing and lustrous designs, you can expect your bridal attire to not only be one-of-a-kind but exquisitely tailored too. Silhouette the Atelier,#05-38 Orchard Central, 181 Orchard Road, Singapore 238896, p. 6733 7197, e. info@silhouette.com.sg. Open Mon-Fri 11am-8pm, Sat 11am-7pm. By appointment only. A hot favourite with society belles and prominent trendsetters, Renée Leung fuses the finest fabrics and European lace with meticulous hand embroidery, semi-precious crystals and pearls. Daring and unique, her creations will make every fashion-forward bride's dream come true. Renée Leung, 6 Eu Tong Sen Street, Singapore 059817, p. 8389 3348. Open Mon-Sat 11am-730pm. "Part lace, all grace" is Lacebridge's motto. Gowns are elegant confections, crafted with the finest lace. Fitted sheaths and cascading mermaid frocks aside, we give major props to the boutique for its reasonable prices. That bespoke dress of your dreams? Easily attainable. Lacebridge, 117 Devonshire road, Singapore 239881, p. 6334 6974, e. hello@lacebridge.com. Don't expect the usual traditional wedding gowns here. 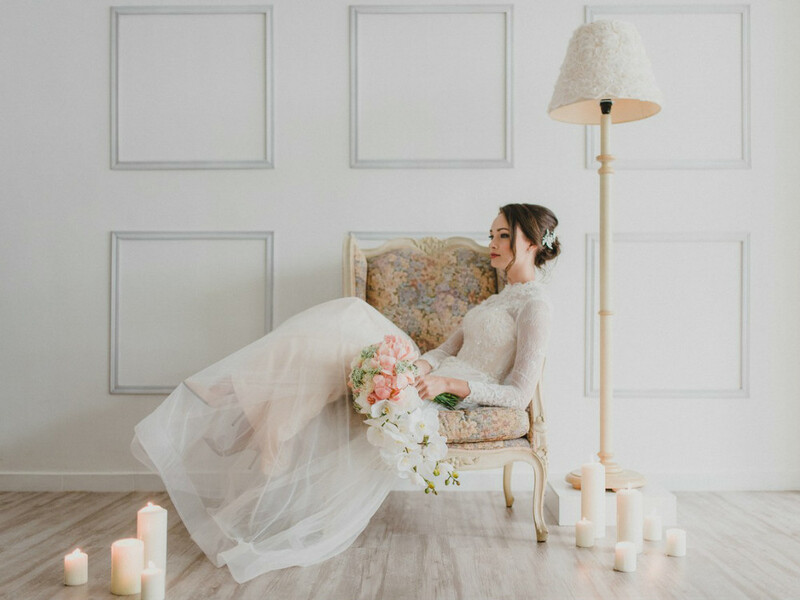 Whether you love classic, romantic dresses or edgy gowns, Amanda Lee Weddings caters to the bolder bride with pops of colour, contrasting sensuous textures, and personality-driven pieces. 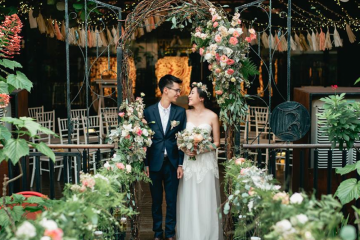 Amanda Lee Weddings, 46 Niven Road, Singapore 228394, p. 63336678, e. enquirewithamandalee@gmail.com. By appointment only. Confession: we've gaped at the window displays of this darling bridal boutique in Scotts Square one too many times. Ladies, put aside your Pinterest dress-envy. 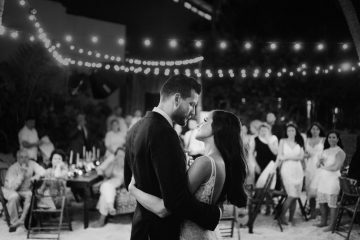 Make your pulse race with these beautifully crafted masterpieces - the genius artisans at JessicaCindy Wedding exert poetic license with exacting skill, juxtaposing structure and fluidity to surreal effect. JessicaCindy, 8 Mohamed Sultan Road, #02-01, Singapore 238958. p. 6698 7156, e. enquiry@jessicacindy.com. No bride-to-be should purchase a dress without a first consultation. 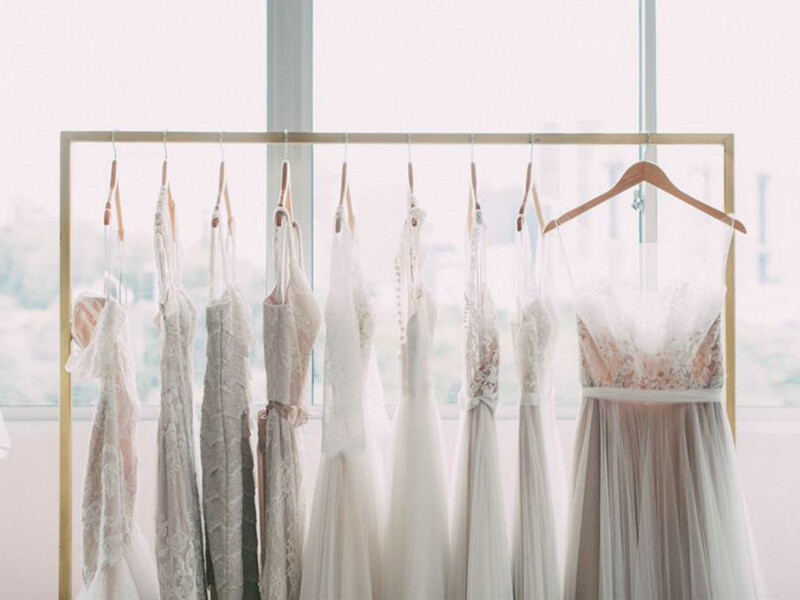 The Aisle Bridal Boutique does exactly that – getting your preferences, and expectations down pat before you select from a variety of ready-to-wear gowns of fluid silhouettes, rich fabrics and delicate details. 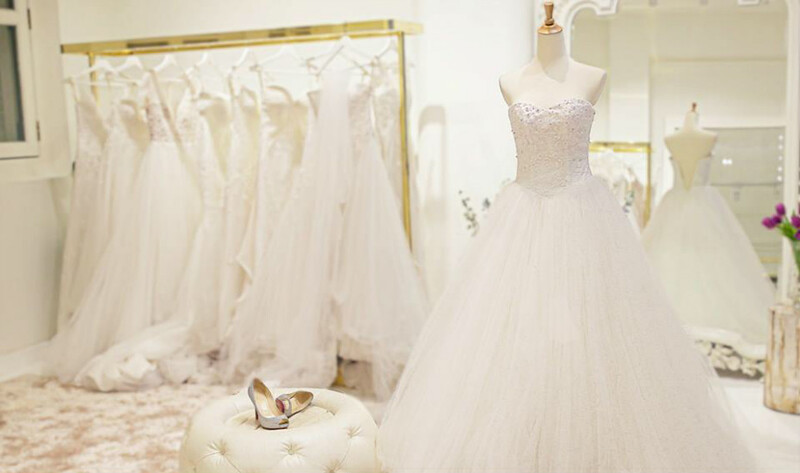 The Aisle Bridal Boutique, 62 Oxley Bizhub 2, #01-24/25, Ubi Road 1, Singapore 408734, p. 6289 6888, e. contact@theaislebridal.com.sg. Open Mon, Wed-Sun 11am-9pm. If you've got Champagne tastes on a beer budget, don't sweat it – everyone knows how expensive weddings are. Get a little bang for your buck by checking out the dresses at The Gown Warehouse. Founded by three gal pals, the boutique offers affordable gowns without compromising on quality or style. The Gown Warehouse, Woodlands 11, 11 Woodlands Close, #06-38, Singapore 737853, p.6734 3998, e. contact@thegownwarehouse.com. By appointment only. Despite being a small outfit, Lunapompom knocks it out of the park with its collection of swoon-worthy gowns. Princess-y, voluminous and multi-tiered gowns aren't to be found here; the boutique caters to free-spirited brides – expect intricate lace details and beading, and delicate silhouettes. Labels stocked here include WTOO, Willowby, Jenny Yoo. Lunapompom, e. hello@lunapompom.com. By appointment only. We all know dress hunting with the girls is a big tradition (c'mon, we who doesn't love twirling around in pretty frocks to ensuing gasps) but it can be tiresome. Why not take a load off your shoulders and shop online? You can't go wrong with Love, Yu. 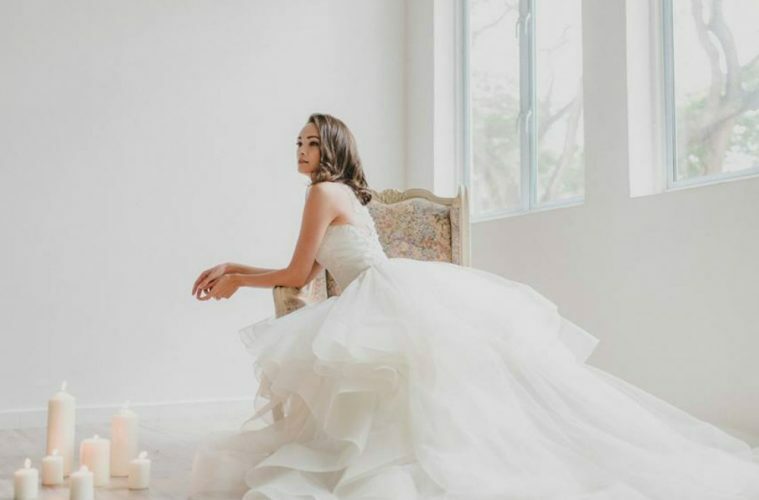 Helmed by local designer Eelyn Tang, the bridal and occasion label features chic and timeless gowns with modern silhouettes and exquisite draping that'll make you say "I do!". Aside from the ready-to-wear dresses being stocked at The Prelude Bridal and The Proposal, browse through the collections online.